As always, UMFM’s intre­pid the­ater reporter Justin Olynyk, host of Play It Again (Wednes­day nights at 8PM), and UMFM’s crack team of review­ers will be in the mid­dle of the action check­ing out some of the great plays and telling your all about them here! Twen­ty-eight years ago, in the sum­mer of 1988, the WIN­NIPEG FRINGE THE­ATRE FES­TI­VAL took its first bow in the Exchange Dis­trict with five indoor venues, an out­door stage and 47 per­form­ing com­pa­nies. The fes­ti­val has grown expo­nen­tial­ly over the last quar­ter cen­tu­ry and when the 2015 Fringe kicks off July 15, fes­ti­val-goers will have the chance to expe­ri­ence the diver­si­ty of more than 180 per­form­ing com­pa­nies from across Cana­da and around the world. Com­e­dy, dra­ma, music, improv, dance – there’s some­thing for every­one at the Win­nipeg Fringe. With TICK­ETS start­ing at $10, it’s inex­pen­sive to take a chance on an unknown play, or pick up tick­ets to the hot show. Advance tick­ets are on sale now at Fringe Cen­tral (MTC Box Office, 174 Mar­ket Ave., 204−204−943−7464). To see more the­atre for less, a FRE­QUENT FRINGER PASS lets Fringe fans see 14 shows for $109. PRO­GRAMS are on sale now at Man­i­to­ba Liquor Marts, select Safe­way stores, McNal­ly Robin­son Book­sellers and the Roy­al Man­i­to­ba The­atre Cen­tre. You can also down­load our great new app to get all per­ti­nent Fringe info on the fly! As an extra added bonus, this year’s Fringe will also fea­ture an amaz­ing line­up of fan­tas­tic local music at the CUBE in Old Mar­ket Square, with shows run­ning dai­ly start­ing at noon and run­ning hourly until 10PM! This year’s diverse line­up fea­tures the likes of the Noble Thiefs, Slow Leaves, Yes We Mys­tic, Mise En Scene, Sc Mira, Odanah, Naysa, JD Edwards, Adam Han­ney & Co, the Dirty Cat­fish Brass Band and more! Guar­an­teed, there’s no bet­ter place to spend these hot sum­mer nights, kick­ing back and enjoy­ing a bev­er­age or two with your friends! 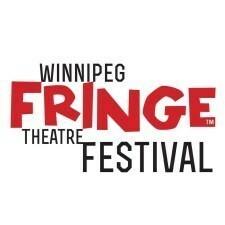 For more infor­ma­tion on the 2015 Win­nipeg Fringe The­atre Fes­ti­val, includ­ing Out­door Stage and Kids Fringe sched­ules, please vis­it us at www​.win​nipegfringe​.com. You can also call the Fringe info line at 204−943−7464.